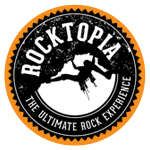 Join the Rocktopia Team today! Do you have an outgoing friendly personality? Have you attained any outdoor qualifications or skills? Do you have a passion for extreme sports? Do you love working with people in a customer focused business?